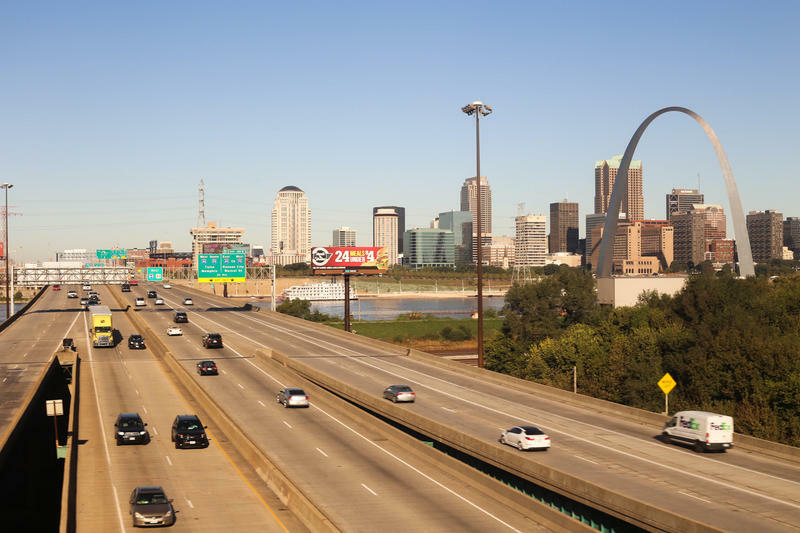 Two westbound lane closures on the Poplar Street Bridge have caused a headache for Illinois and Missouri commuters this week, doubling commute times for some. The closures come on top of the full shutdown of MLK Bridge at the end of August, compounding traffic congestion. The lanes on the Poplar Street Bridge will remain closed through early October while the Missouri Department of Transportation replaces a joint in a bridge. Kea Wilson has heard her share of complaints about the so-called “Ingrassia balls” recently installed in her south city neighborhood along Compton Avenue. 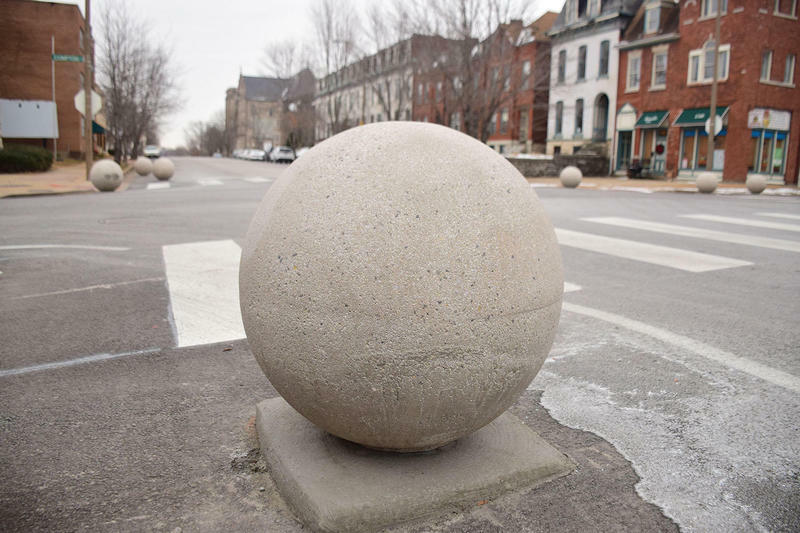 Some people worry about the concrete spheres being hit by vehicles and rolling down the street, as several in fact have. But Wilson, director of community engagement for the organization Strong Towns, said on Tuesday’s St. Louis on the Air that there’s a more serious issue at stake. 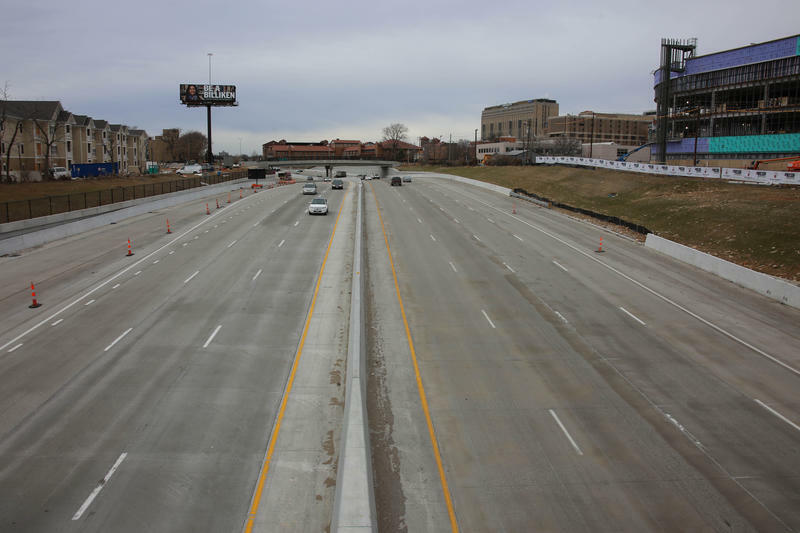 The St. Louis region can expect several major road construction projects this year. 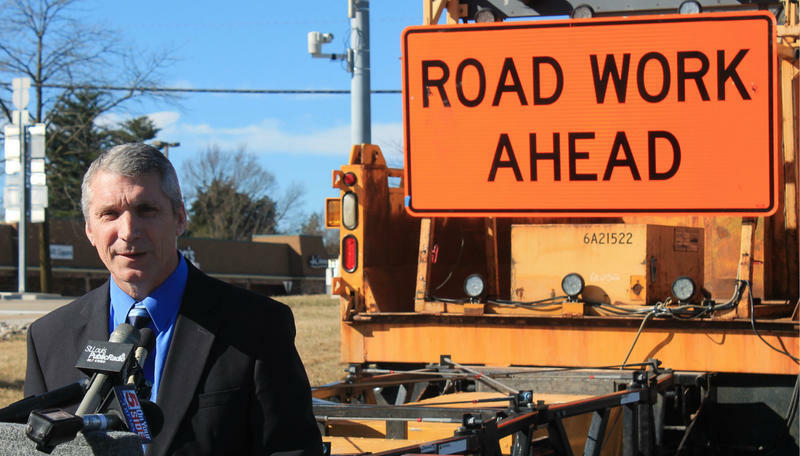 The Missouri Department of Transportation announced on Friday that most of the road work will be maintenance and bridge repairs. 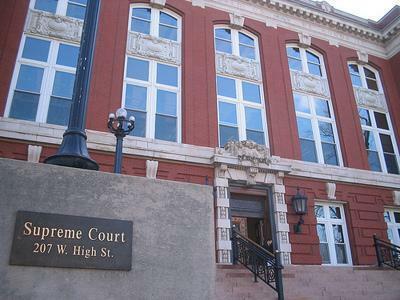 The Missouri Supreme Court is weighing a challenge to a law that has changed rules for municipal courts, in particular banning judges from sending someone to jail for failure to pay a traffic fine. It also lowered the amount of revenue local governments can get from traffic citations; it capped those revenues at 12.5 percent in St. Louis County and at 20 percent across the rest of Missouri. Construction of the Loop Trolley is causing roads to close at the edge of St. Louis and University City. The intersection of DeBaliviere and Forest Park Parkway is now closed. 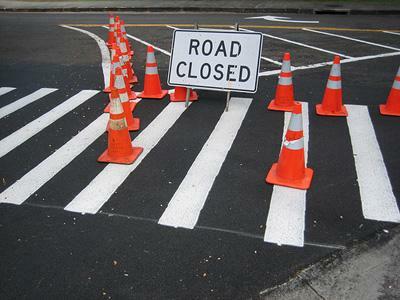 Traffic will be rerouted around Forest Park for the next three weeks. Traffic calming is the use of street design, or construction like speed humps or bump-outs to control speed on residential streets. And legislation awaiting Mayor Francis Slay's signature would bring a comprehensive policy on traffic calming to St. Louis for the first time. 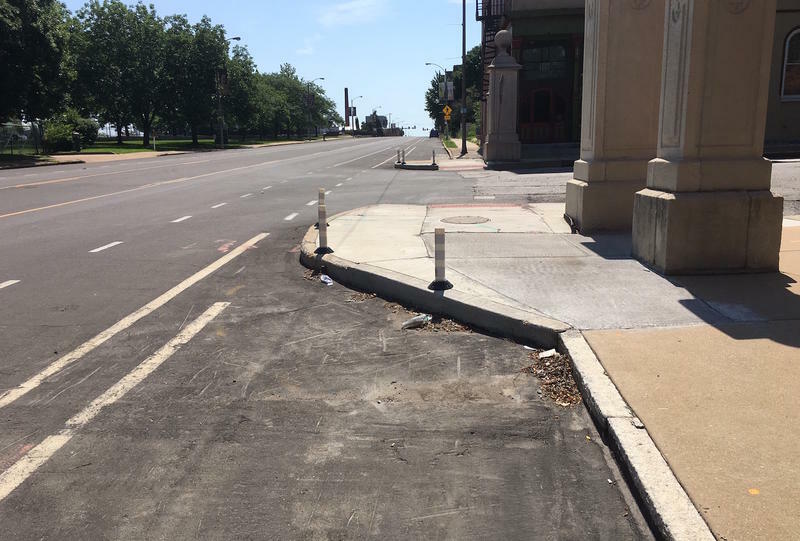 Since we launched the Curious Louis project last fall, we’ve received plenty of questions/musings/perplexed cries for answers regarding highways, byways and roadways in St. Louis. 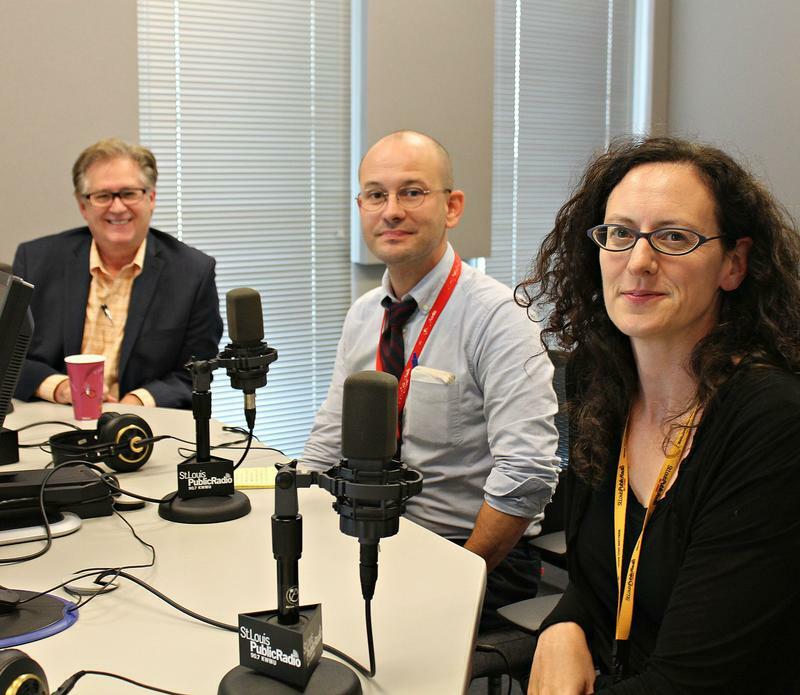 On Thursday’s St. Louis on the Air, host Don Marsh got answers to some of them by convening a panel of three experts. 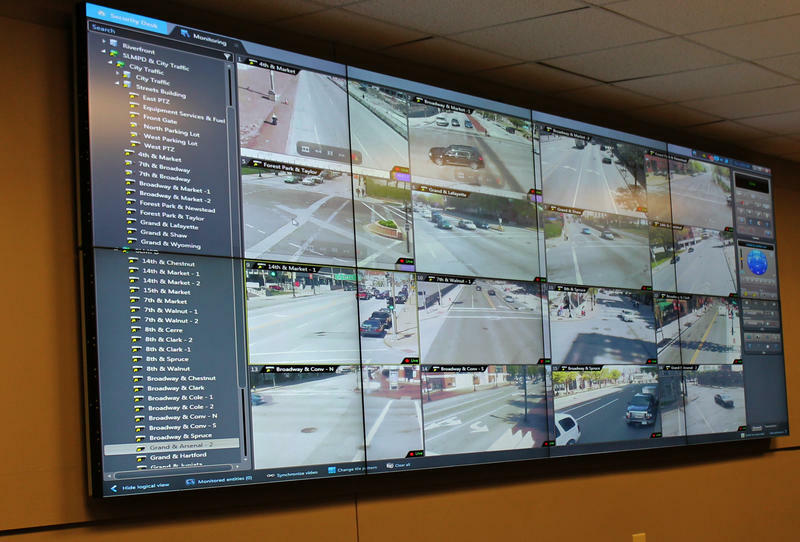 The streets committee of the St. Louis Board of Aldermen on Thursday approved legislation that would extend St. Louis' fiber optic network and fund the installation of as many as 68 new traffic cameras. The bill authorizes the city to spend the $3.4 million in federal money and commits $500,000 in matching funds. Laclede Gas and Downtown STL Inc. are contributing private dollars as well. The city of St. Louis and Saint Louis University may team up to improve traffic flow at the intersection of Forest Park Parkway and Grand Boulevard in Midtown. The process is in the very early stages, a SLU spokesman said, and there is no guarantee that changes would be made. The university would fund a traffic study and then work with the city and a consultant to come up with new designs for the intersection at the heart of SLU's campus. Curious Louis: Why are stripes on St. Louis roads so hard to see, particularly in the rain? Driving in the metro area can be difficult when motorists have trouble seeing the lines on the road, especially at night when it’s raining. The issue prompted scores of respondents to our Curious Louis project to wonder why more reflective paint isn't used on local streets. We looked into their concerns and found it’s mostly a matter of rough winters and tight budgets. 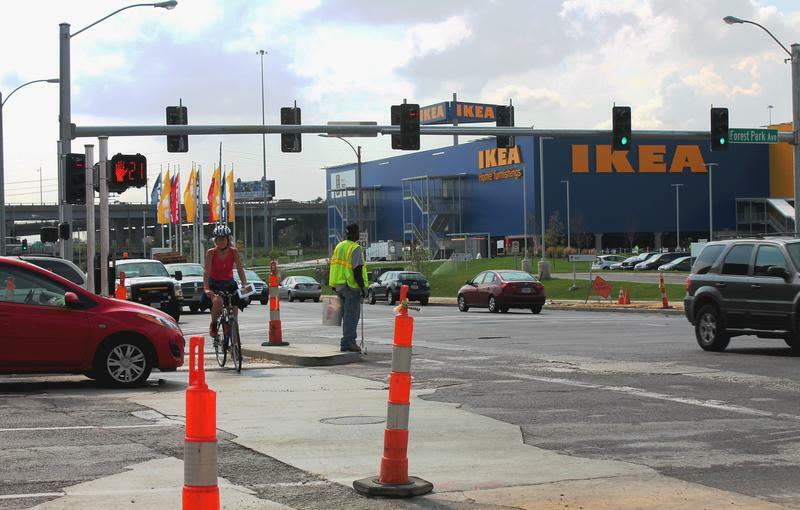 Ikea's newest blue and yellow box store that opens Wednesday on Vandeventer Avenue in St. Louis is the biggest sign yet of a building boom that’s transforming what was once a relatively sparse neighborhood into a bustling part of town. 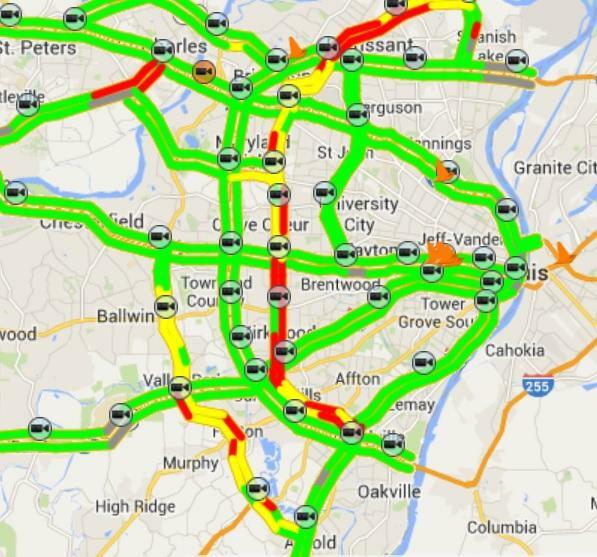 The Missouri Department of Transportation is making its roadway alert system more customizable. The Gateway Guide alerts travelers via email or text about road closures, lane closures, or traffic problems on particular roads. The updated system lets users select specific sections of state roads or highways for their alerts. Users can also monitor routes based on the day of the week or time of day. 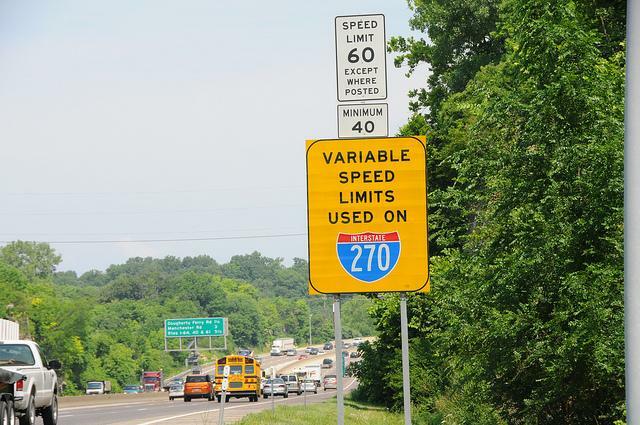 The Missouri Department of Transportation is ending its five-year experiment with variable speed limit signs on Interstate 270. 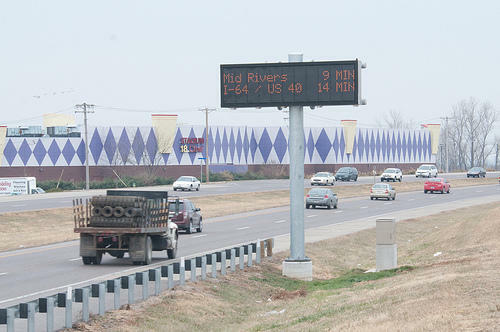 Crews began removing the 70 digital signs from along the highway Wednesday. The work should be done in about two weeks. MoDOT installed the signs in 2008 as a way to get traffic to slow down if there was congestion ahead. For the first three years, the speed limits they posted were enforceable, but MoDOT made them advisory-only in 2011. Update, 6:24 a.m. Sunday, Sept. 8. At 7:45 p.m. on Saturday evening, crews opened the westbound I-64 Daniel Boone Missouri River Bridge. The Missouri Department of Transportation will end its phone-based traveler information service for the St. Louis area on Saturday because of funding problems. The department launched the toll-free 511 service in 2007, just before work began on the reconstruction of Interstate 64. It enabled drivers to get up-to-the-minute traffic information about area roadways. 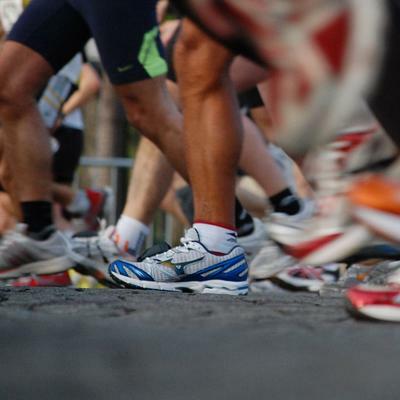 It's marathon weekend in St. Louis, and that means a number of road closures in St. Louis city and county throughout the day on Sunday. This morning marked the first rush hour since all westbound lanes of the Blanchette Bridge were closed late yesterday afternoon for a year-long construction project. A new section of Illinois Route 255 near Godfrey is now open to motorists. The freeway has been extended from Seminary Road to Humbert Road. Work on that section of Route 255 had been delayed because of problems with an embankment that caused the pavement to crack. The last part of Route 255, from Humbert to Illinois Route 111, is expected to be completed in November. 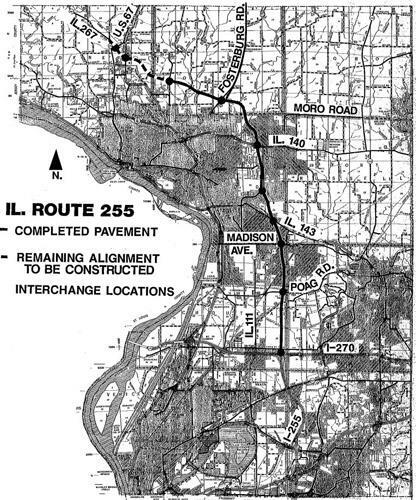 When it’s finished, Route 255 will run from I-270 at Edwardsville to U-S Route 67 in Godfrey.